Bold Rock Cider Tasting Bar Takeover for Beer Thursday! This week, we will have Kye from Bold Rock Hard Cider in the store to let you sample their line of delicious ciders! Our dedicated cider makers crush and craft locally picked apples to create our variety of crisp and refreshing hard cider styles. That’s true at the two cideries we built and established at both ends of the Blue Ridge, including our flagship timber frame Cider Barn in Nellysford, Virginia, as well as our newer facility in the western North Carolina mountain town of Mills River. As more people continue to enjoy our freshly crafted cider, we are still committed to preserving Bold Rock’s founding ideals: Real Apples. Real Craft. Real People. 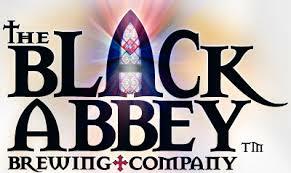 This Friday we will have the folks from local favorite, Black Abbey Brewing, in the store for a free in-store tasting of their delicious brews! 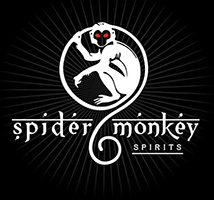 Spider Monkey Agave Liqueur Tasting Saturday! We will have the folks from Spider Monkey Spirits in the store this Saturday to tell you all about their delicious Serrano Pepper & Ginger Agave liqueur! Legend has it, in Mexico, where the coveted Agave plant grows, the Spider Monkey waits patiently until it's ripened fruit has naturally fermented and then eats the fruit for it's intoxicating effects. The Agave spirit pays tribute to the legendary Spider Monkey for it's ability to find, wait for and then enjoy one of the world's greatest treasures. Come on in this Saturday from 2-6 pm and give it a try! 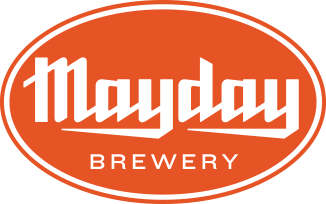 Along with Spider Monkey Spirits we will also be sampling delicious beers from Murfreesboro's own Mayday Brewing! Whether you are a long time craft beer lover, or just curious, Mayday has a beer for you! We believe part of what makes us great is that are a family business: Ozzy's daughter, Kelsey Nelson, is the Head Brewer and brews Mayday's signature beers 1,000 gallons at a time. Kelsey has a degree in Micro-Biology from Murray Statue University and has been the running the production operation for two years. Ozzy's other daughter, Ashlee Smith, handles the general manager duties, from staffing to scheduling to booking private events. Located just 1/2 mile from the historic Murfreesboro Square in the geographic center of Tennessee, Mayday Brewery is a place you must experience. Come and stop in for some beer, hugs, and rock and roll! Come on in this Saturday from 2-6pm and find your favorite! This is not a bottle for cellaring, but rather a twist-the-top-and-throw-in-some-ice-cubes- cause-you-can't-wait-for-it-to-chill barefoot, barbecue, poolside, beachside, lakeside, in the park, summertime wine. Perfect for casual summer sipping, paired with a plate of pork hot off the grill; which is, of course, how it got its name. This wine is a blend 85% Sauvignon Blanc and 15% Chardonnay. Fresh, lively, and fragrant aromas of citrus fruit and morning dew. Green orchard fruits, lemon/lime, and bright minerality on the palate. This 2004 cellar release is a blend of 95% Merlot and 5% Cabernet Franc. It offers plenty of rich and sweet fruit, with berry, currant and chocolate. Full-bodied, with fresh tannins and a medium finish. Lusac St. Emillon is a satellite of the highly regard St. Emillon, and is a proof that you can buy great Bordeaux at a fair price. Oskar Blues & Cigar City for Beer Thurs+Weekend Wines!